Lemons From the wonderful citrus family. A question i ask. You awake in the morning and suddenly realize you are left with only one fruit in the world and one minute to decide what it is? What would it be? What would you choose? With some thinking, it would be hard to go past the humble lemon. The lemon has so many uses in the kitchen. Juice used to add zing to anything seafood. Cuts through fat in any dish with cream or butter.Elevates and seasons almost any savory food. The zest of all citrus is the underused wonderful sweet fragrant expression of the fruit. Used to flavor so many sweet and savory foods. Preserved lemon. Lemons and Sea salt are all that is needed. 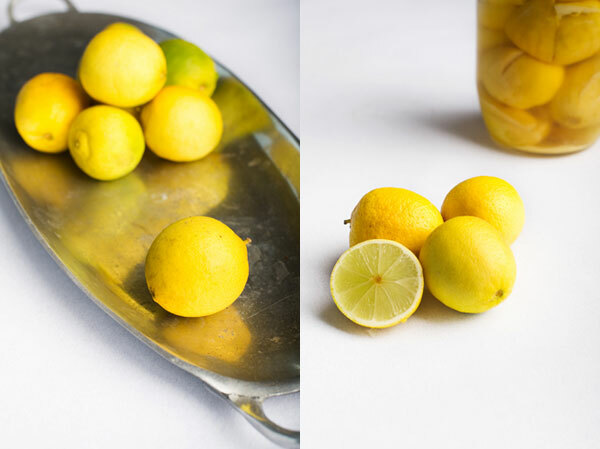 Wash lemons and slice down through length, in quarters, till almost cut through. Add generous amount of salt into the slit lemon cavity. Pack into clean sterilized jars. When full push down, adding more lemons to completely fill jar. Top with lemon juice if not overflowing full. Seal with lid. Store in cupboard and use after two months. Liquid will be thick and syrup like. Use the rind not the flesh.